Congrats on your new job! So, you're supposed to be there at 8:30 AM, huh? And you got fired from your last job because you had trouble getting there consistently by 10 AM? What to do/try? Sleep inertia is the official name for why is waking up and getting out of bed is so difficult. For many folks with ADHD, especially the inattentive types, waking up from a night of sleep or a real nap, is like coming out of a coma. It's genuinely really really hard. This is especially problematic if you wake up without structure, with nowhere you need to be any time soon. What’s the point? Why rush? Overnight, the things we really want to accomplish in life seem to evaporate. We wake up fully in the present, aka with a completely blank slate. This in part explains why we end up responding to stuff in our line of vision, urgent tasks, instead of proactively working toward our long term goals or on our passion projects. Here are some alternate suggestions for waking up in the morning a tad bit easier. 3. What about remote controlled blinds that you could press a button and they come up and the light comes flooding in assuming you're not dealing with daylight savings time. 4. SleepCycle is an app that tracks your sleep and begins to wake you within a window (i.e. 20-30 mins) when it detects you are in a lighter sleep phase, to avoid the trying-to-wake-from-a- coma experience. If you use your phone, put it in airplane mode to decrease potential health issues. 5. Make sure at least one of your alarms is out of reach of pressing the snooze button. 7. Put an alarm in your shower so you have to get up and go into the shower stall to turn it off! Turn on the shower when you get there. If you have water that takes forever to warm up, try the faucet water to get it started. 8. Preset your coffee to percolate your coffee at the precise time you should be done with your shower (or when you wake up). The smell, sound, and cost of wasting good, fresh coffee might help. 10. Create a playlist on Spotify, iTunes, FitRadio (requires a subscription - check Groupon -often ½ off) of very upbeat high-energy music. You can set uour alarm to play it or you can apparently tell Alexa (or equivalent) to play it for you. 11. I have also heard to drink a glass of water with lemon first thing in the morning - although I don’t know why it’s recommended. 13. Imagine an early arrival: from your bed close your eyes and picture arriving at your place of work 10-30 minutes early. Maybe there aren't a lot of people you have to talk to yet, maybe you can get some coffee before everyone else, maybe you could organize your desk and make a mini plan for the day before you are expected to start responding to people’s requests of you. 14. Visual inspiration. If you aren’t going to a job, have a visual reminder, maybe on the lock screen of your phone, of what’s important to you in life. Non-rushed, quality family time? Something you want to accomplish before you die? The fun thing you can do when your “work” is done? 15. If your environment isn’t great, maybe your bedroom window looks into an underground parking garage (have I said too much? ), maybe you can have youtube project a lovely sunrise at the mountains or the beach. 16. If you have other ideas, I’d love to hear them. Please share them below. Thanks! If you have been struggling even more than usual with productivity, energy and taking initiative to engage with the world at large, you are not alone. If you follow current events, don’t underestimate the toll it may be taking on you. It seems to be contributing to an existential sense that every day tasks and normal “work” doesn’t really matter in the grand scheme of things making it even harder than usual to get things done. It may be impacting your sleep, your mood, your frustration tolerance and your sense that how you see the world is actually how the world is. It is possible your ancestry may be affecting your general sense of safety even if that seems illogical. It is making a lot of people feel powerless. Never before, in my 28 years as a therapist/coach, has the news been had such an impact on people. I just want to give voice to the idea that it may be impacting you more than you are realizing and to remind you to have compassion for yourself-- because these are genuinely unusual times. What do Dr. Russ Barkley, Dr. Ned Hallowell, Sari Solden, Dr. Tom Brown and Dr. Pat Quinn have in common? They and 25 other ADHD experts will be sharing their wisdom in the ADHD Women’s Palooza Jan. 11-16, 2016. Register now! Women with ADHD! Historic online event happening Jan. 11-16, 2016. Watch, listen, participate in the first annual ADHD Women’s Palooza. Top experts share their info/tips. Register for FREE! Women with ADHD! The secret is OUT. The first ever Women’s ADHD Palooza- an online conference only for women with ADHD, January 11-16, 2016. The Legends and Luminaries of the ADHD World gather for the first time in history to share their collective and individual wisdom: Sari Solden , Dr. Edward (Ned) Hallowell , Dr. Russell Barkley , Dr. Patricia Quinn , Dr. Thomas E. Brown , Dr. Ari Tuckman , Dr. Russell Ramsay …30 all together…all ONLINE….FREE to attend! Plus, connect with other women with ADHD who “get” it** Registration is now open- grab yourself a spot. What’s an ADHD Women’s Palooza? It’s an historical event that happens January 11-16, 2016 online where 30 of THE top ADHD experts in the world converge to share their expertise with YOU. Don’t miss this! And guess what? It’s FREE. Seriously, register. You've got nothing to lose. ….and that’s just the tip of the iceberg. 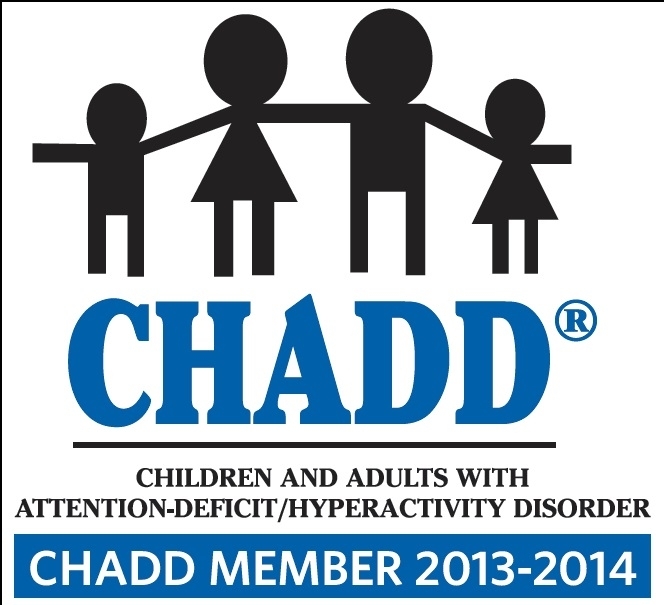 Would you like to be a part of this ADHD revolution? Would you like to find out how life can be better with ADHD? Would you like to rub elbows with some of the top ADHD experts in the world? Would you like to connect with other women, like you, who have struggled far too long and are ready to move forward with new information, resources and best of all…hope? You can! Just register by clicking HERE Just register, already!. Resolution Solution: Happy New Year! Ok, I know it’s sort of cool NOT to make any New Year’s Resolutions, but if you are uncool, like me, and are REALLY intending to do some things differently this year, here are a few tips. 1) The formula for success is Time + Effort (vs. Doing it Right). 2) It takes about 21 days to create a simple new habit. 4) The action needs to have a home (just like our stuff). Where will it go in your day? 6) To create a new habit, you need to reward it every single time in the beginning (the first 21 days). 7) To maintain the habit, you need to reward it at random intervals (think gambling). 8) In the beginning the amount of time needs to be so small that it’s easier just to do it, than to talk yourself out of doing it. 9) The effort includes EVERYTHING connected to it – i.e. staring into space trying to decide where to start and trying to recover your on-line bank password. 10) Stop when you said you would stop. If you don’t trust yourself to stop, then tomorrow, you won’t trust yourself to do it for “just 5 minutes.” This helps rebuild personal integrity. These are some of the principles used in the 28-day program inside my book – Starting Tomorrow: Get Stuff Done & Have More Fun! To learn more, click the link that says "book" and sign up for my email list to get Part One: She Blinded Me with Science: - for FREE! If you are local (Southern California), please join me in Torrance, CA at the CHADD South Bay Chapter meeting. I will be presenting on my favorite topic: Procrastination! The challenges of starting, continuing and finishing projects and tasks are magnified when you throw ADHD into the mix and therefore benefit from a different approach. With a light-hearted and informal style, Dr. Kensington will address how to identify what may be getting in your way, including executive function issues that may be masquerading as procrastination, and will offer ADHD-friendly strategies for navigating these obstacles so you can get more done in less time. "We all procrastinate. If we don't want to do something, many of us will simply put it off to do tomorrow or later, when we are feeling less stressed and less overwhelmed with other responsibilities. Or we might simply wait until we have more energy to tackle the task on a new day. Problems can begin to occur, however, if you find that you are putting off and avoiding tasks again and again and again. "Tomorrow" never comes. Many adults with ADHD struggle with "chronic" procrastination. Procrastination can cause problems at work when job responsibilities are not completed or are done at the last minute. Procrastination can cause problems in relationships. When you continue to procrastinate, your family and friends often feel that they are unimportant to you. Procrastination causes financial stress at home when bills are paid late. For an adult with ADHD/ADD just getting started on a task can be difficult, particularly if the task is mundane or boring. If you are easily distracted by outside stimuli, as well as internal thoughts, it can be hard just to get started. Adults with ADHD often feel paralyzed and overwhelmed, have an impaired sense of time, have problems with organization, cannot sustain attention because their mind wanders, and are afraid to fail. Luckily, there are strategies that can help overcome chronic procrastination." Around and around and around it goes. Decisions, decisions, decisions. One challenge for adults with Attention Deficit Hyperactivity Disorder has to do with our ability to see lots of possibilities. And we ADDers tend to like possibilities! Sometimes this has benefits, but not always. A corresponding challenge has to do with our difficulty with linear thinking and organization – that means organization not just of stuff, but also of ideas (one of the big challenges with writing essays, and things like, say, blog posts). With ADHD, we need to externalize our thoughts or it all just keeps swirling around in our heads. Here are two ways, but I’m sure you can find others! 1) Talk the decision out loud to someone who is a good listener and who won’t offer solutions or urge us to take action before we are ready -- we usually can figure it out for ourselves. Will the solutions be perfect? Almost never. But good enough. Good enough to take action and move our lives forward. 2) Write down your swirling thoughts. Journal, mind-map, free-associate, make a pros and cons sheet – doesn’t matter, really. Heck, you could probably paint the thoughts on a wall or do something musical (although my brain certainly can’t help you with that). How about using puppets--a sock on each hand debating the options? Oooh, I like this idea! Is that too many choices? Do you now need to get out hand puppets to decide on a method for deciding? Okay, here you go. If in doubt, use a piece of paper – any piece of paper and a writing utensil – hmmm – should I recommend pen or pencil….